After a series of blinding headaches sends thirty-four-year-old Elizabeth to the hospital, she receives news of an inoperable tumor. 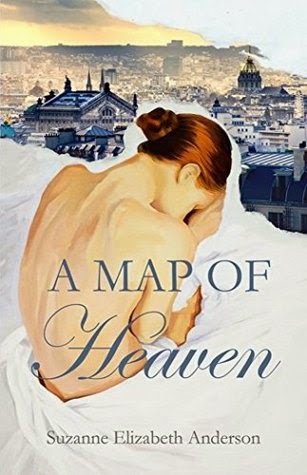 Defying doctor’s orders, she heads to Paris in search of a different form of healing and one last chance to experience the life she locked away in a room of her paintings. In Paris, Elizabeth’s days are spent in a budding romance with a doctor escaping his own demons, while her nights are inundated with surreal dreams. In these dreams, she navigates a labyrinth and confronts pivotal moments from her past. Upon waking, she receives mysterious notes hinting that her life may be saved if she could only find the map of Heaven described to her as a child. During her nocturnal journeys through the endless labyrinth, Elizabeth meets an astronomer searching for forgiveness, an artist searching for immortality, and a mother searching for revenge. As her dreams progress, she travels back in time to a small Midwestern town, follows a Parisian tunnel down to the depths of Hell, and eventually reaches a sandy beach offering a possible glimpse of Heaven. In a cruel twist, for her life to be spared, Elizabeth is required to give up everything that has brought her so much joy, including the man she loves. Which will she choose? A return to her old life or a chance to grasp the meaning of life? This was a hard book to read, it's really difficult subject matter. Elizabeth is faced with an a devastating diagnosis and must face how she has lived her life and what little time she has left...it's heart-breaking. It's also set up to be a really great story and it is in a lot of ways, it just wasn't my sort of thing. I found the whole overall sentiment of the book to be beautiful and touching though.